The opportunity to design someone's home is a privilege that we approach with a sense of intrigue and respect. We work with our clients to help create a space that will serve as a platform for the lifestyle they desire. It is our belief that every part of a home can help to articulate a clients’ own unique story. Our approach is collaborative. We search for the context around our clients’ requirements, after careful discussion. We attempt to get to the heart of the matter, underlying an initial request. By investigating our clients true needs and habits, we aim to bring about a better design outcome. Our experience with Residential Architecture allows us to guide our clients’ expectations. At the early stages of a project, we aim to identify the possible dangers of budget, planning and timing. Below is a hand picked collection of Chamberlain Architects Residential projects. You will see examples ranging from extensive renovations to completely new homes. These projects show a variety of styles and solutions. We do not believe in having a generic “house style”. We prefer to use a consistent framework that brings about an outstanding result. Our design response is quite often driven by the personality or needs of our clients. We seek out a common ground with our clients. From there, we aim to extend the clients' outlook to achieve a result that resonates with their needs in the most aspirational way possible. It is our intention to create beautiful work driven by our clients’ needs. Consider every room of your home as part of your own story. How do you inhabit your space? How do you like to move through your home? What room or activity has particular significance to you? Each area of your house can form a chapter in your own story. Below are some of the main areas of the home, defined by the activities that take place in these areas. Everyone inhabits and interacts with these zones in their own unique way. Use the images below to find inspiration for each zone of a house. You will find the examples of each zone vary, depending on indiviudual needs. COOK: Prepare, nourish, share, socialise, dine. Find kitchen design inspiration here. LIVE: Relax, interact, engage, dine. Find inspiration for your living spaces. BATHE: Wash, prepare, soak, regenerate, meditate. 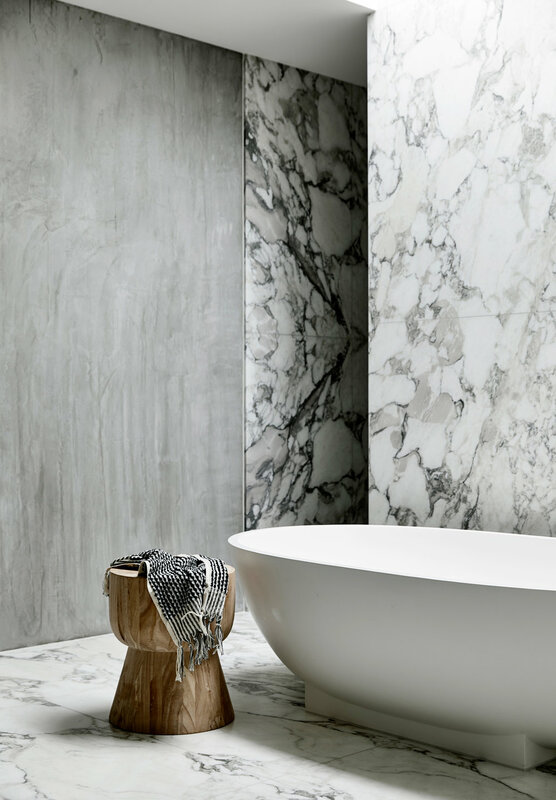 Find inspiration for bathroom design here.